Our recent fundraising event organised by Roger Squire raised £275 for our charity, Nightingale House Hospice. 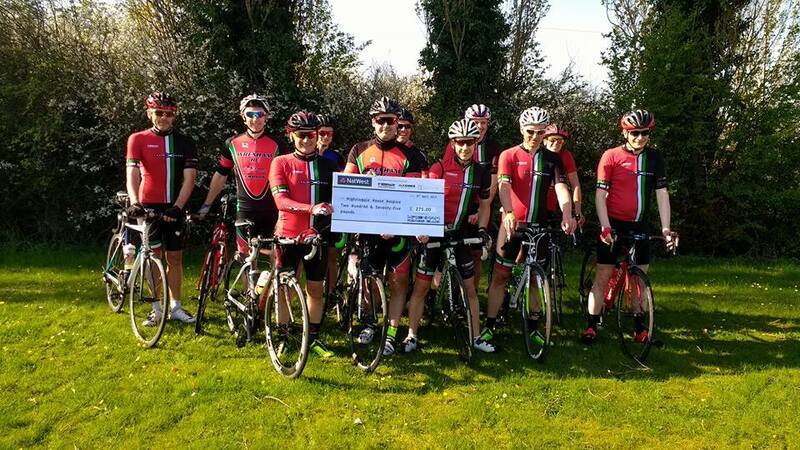 The event was organised to mark the Wrexham Roads Club 80th Anniversary and saw riders complete a 96 mile ‘hilly’ ride through stunning scenery and over some of the highest sections of tarmac in North Wales. It wss open to all cyclists and non-members are especially welcome as this was a celebration and social ride, to help raise money for Nightingale House Hospice. There were lots of café stops and three route options. The event wasd sponsored by 9Bar and the starting point was a club sponsor Alf Jones Cycles shop in Gresford.